Little known in the United States and Western Europe, the Sudan is nevertheless a country of major importance in international affairs. This analytic introduction to the modern Sudan, first published in 1985, provides a summary of the basic dynamics of the country’s political, social, cultural, and economic life, as well as a general framework for interpreting the modern Sudanese experience. 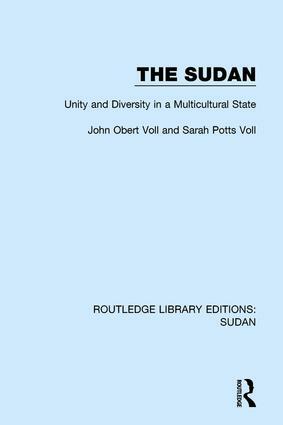 The authors present a clear picture of the Sudan as a distinctive entity with an identity all its own, revealing, however, that almost paradoxically one of the most significant aspects of that identity is the place of the Sudan as a special link between different cultural patterns and socio-political styles. The Sudan is both a bridge and a melting pot, and this provides the foundation of its unique character.